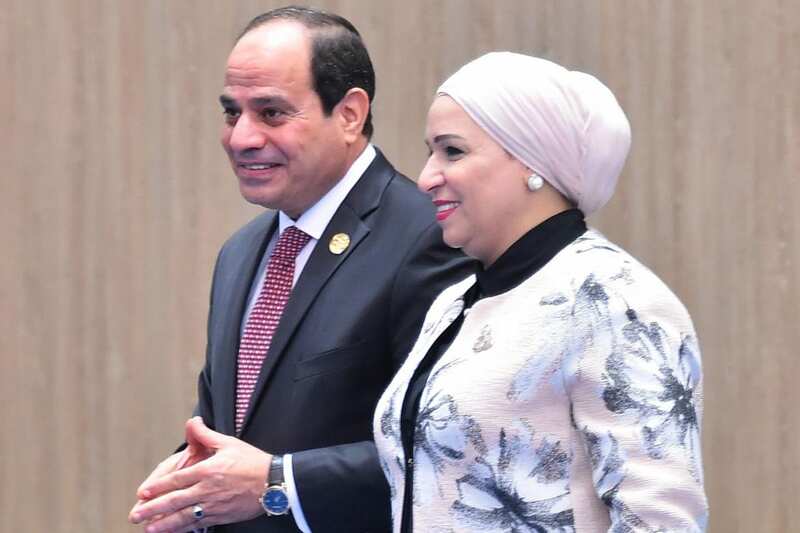 The Egyptian government has punished a number of journalists at the daily newspaper Al-Ahram after a typo led to an article which badly insulted Entissar Al-Sisi, the wife of the incumbent President Abdel Fattah Al-Sisi, Quds Press reported yesterday, quoting official sources. This is not the first time journalists have been arrested for insulting the president’s family. Last April four reporters at the government-run Al-Hilal magazine were suspended after publishing false information which insulted Al-Sisi’s mother. The anonymous sources said that following an order by the Egyptian authorities a technician at Al-Ahram was fired while other senior editors at the newspaper were referred to an administrative investigation. The article, entitled “The President’s wife appears in Egyptian designed clothing”, described Entissar’s outfit at the president’s swearing in ceremony for his second term on 2 June. It was published with a typo in the body of the text which meant the word for outfit was published as male genitalia. I believe the President of Egypt is a wonderful person, an outstanding military career, that is second to none. A gentleman, who by the will of God was called upon in Egypt's desperate time of need to do his best to bring the nation together, and today stands as its great saviour, defender and protector of the great nation. Soon, I hope to once again visit that wonderful land of my dreams. .
No, Carrie, they have fewer children. Sorry, I thought that I had lost my grammar police hat. Firebrand Islamist preacher who burned copy of New Testament outside US embassy in Cairo last year is detained on charges of 'insulting religion'. Why do they burn books? Don't they ever learn from history?